Looking for some concave 18" or 19" wheels. Any suggestions? It would be going on a '15 Matte Gray turbo. What color are you thinking about and what width? Multi spoke? Mesh? 5-6 spoke? Only problem is it's hard to find nice concave wheels unless you go super wide. You will need to go 9" wide & use stretched tires. I wouldn't go 19s if you plan on being dropped in the future. If you want to stay stock height 19s are cool with 9" wide wheels, but once you go low, you will have all sorts of rubbing issues. If you are considering getting a drop, just stick to 18's. With 9" wide wheels I would either go with like a +45 offset unless you want a lot of poke. If you want poke go with like a +30 or +35mm offset. I was thinking along the lines of a 5 star. 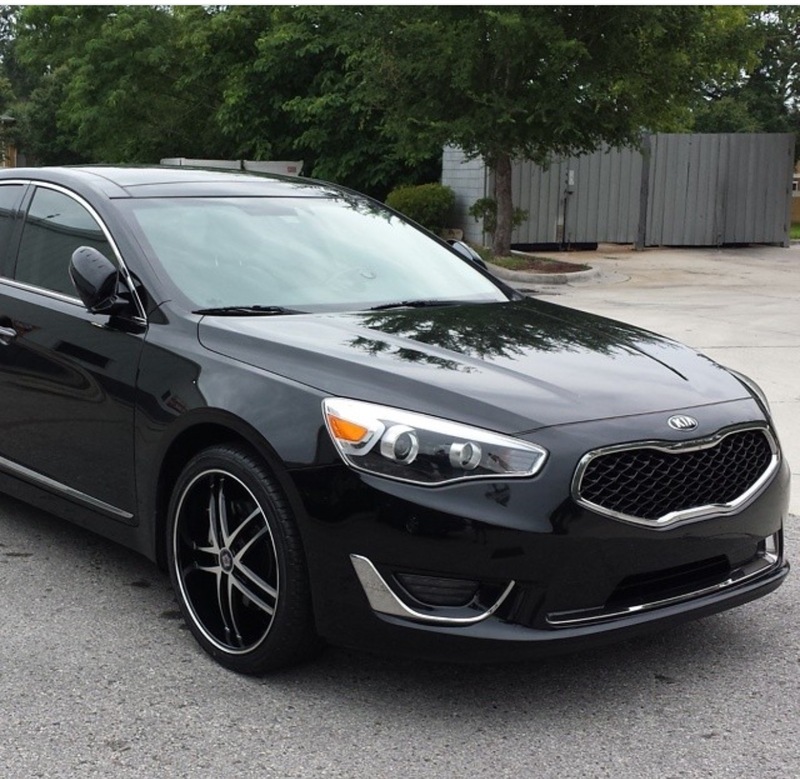 I had 19s black on machine finish on my Kia Cadenza. I like that it had some shine to it. Do you think it would look funny if I did the same? I don't want my wheels to blend in with my matte gray finish. Here is what my Cadenza looked like. I'm thinking about staying with 18s. What's the ideal rim size and tires? Wider better? I was thinking tires 225/40/18 and 18x8. Any suggestions on tire brand? The color options are endless, powdercoating is your friend As Gunz said, check out XXR, they have a large selection of wheels. Lower offset and higher width are going to contribute to your concave look. As far as five spoke goes, I'd recommend the XXR 969. It's a split five spoke, and going to be pretty concave. I think it's 18x8.75 and comes in +35 and +20 offset. The +35 is going to have a gentle concave, and +20 is going to be more pronounced. I don't think their wider size will fit on the veloster, it's 10.5 IIRC. NEW Enkei RS05RR JDM HOTNESS! Concave! Monoblock!